Council reviews its Vision, Mission and Values as part of the development of its Management Plan. The Vision, Mission and Values have been reviewed and it is queried whether the “Vision” statement, which should be a branding slogan, sufficiently distinguishes what really drives the Council. It is proposed that alternative vision statements be reported to Council’s meeting to consider the draft management plan so that a preferred vision statement may be adopted. That alternative Vision Statements be reported to Council’s meeting to consider the draft management plan so that a preferred Vision Statement may be adopted. Council can retain or amend its Vision, Mission Statement and Values as it sees fit. 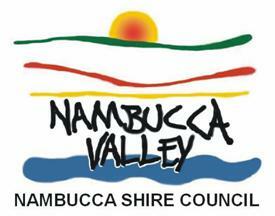 “The Nambucca Valley will value and protect its natural environment, maintain its assets and infrastructure and develop opportunities for its people”. The Mission Statement and Values are considered to aptly describe our reason for being. Further, without specialist software there is no way of relating the management plan strategies and actions with the budget or with the any performance requirements for individual staff. There will be a further report on appropriate software to make the management plan more relevant to Council’s day to day operations. The matter has been considered by MANEX. The implications for the environment depend upon the extent to which Council “lives” its Vision, Mission and Values. The social implications depend upon the extent to which Council “lives” its Vision, Mission and Values. Again the economic implications depend upon the extent to which Council “lives its Vision, Mission and Values. This application is for the consolidation of 31 lots and creation of 2 lots each with a dwelling entitlement on land predominantly fronting Jellico Street and bounded by the North Coast Railway Line. This application required a SEPP No 1 Objection to the minimum lot size of 40 ha and was submitted to the Department of Planning on 31 July 2008. The Department advised on 24 September that it did not support the variation to create 2 lots but indicated that they would likely support one lot and dwelling entitlement instead of two. The matter is now presented to Council as the applicant has gained some encouragement from the Department of Planning where they have indicated that if the applicant is able to address a number of issues and gain the support of Council they would reconsider the proposal and waive the application fee. Should the Department of Planning formally support the SEPP 1 Variation for the two (2) additional lots, or for just one (1) additional lot, the application is proposed to be dealt with under Delegated Authority at which time appropriate conditions would be applied to the proposal. 1 That Council advise the Department of Planning that it supports the SEPP 1 Variation for the consolidation of 31 lots and the creation of two lots each with a dwelling entitlement as outlined in Development application 2009/004. 2 That the matter be dealt with under Delegated Authority subject to the Department of Planning support for the SEPP 1 Variation. · Not support the SEPP 1 variation due to the High Hazard Floodway classification provided for this land under the Nambucca Floodplain Risk Management Plan. 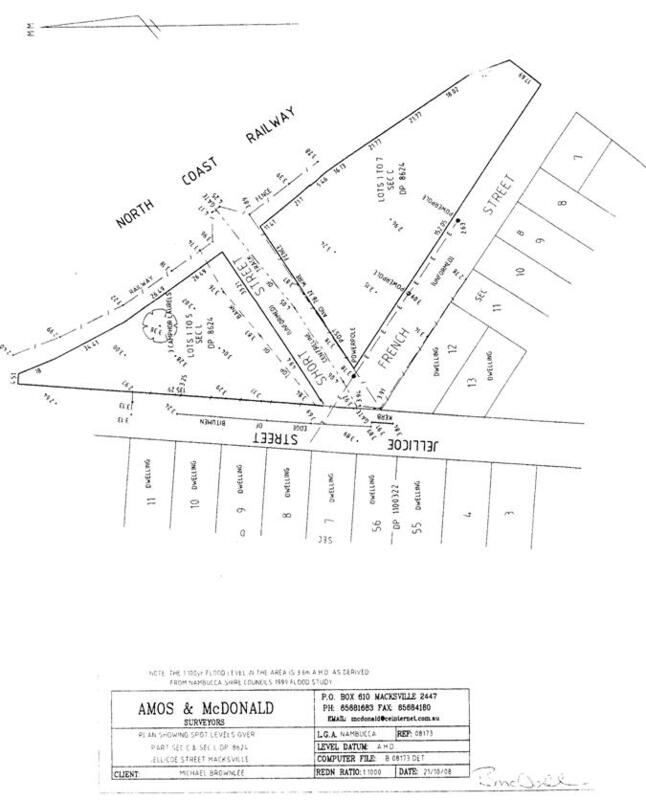 This application is for the consolidation of 31 lots and creation of 2 lots each with a dwelling entitlement on land predominantly fronting Jellico Street and bounded by the North Coast Railway Line. A third lot over the railway line and bounded by the Nambucca River already has an old dwelling on it and is a lot by itself. The applicant was advised of the Departments response on 29 September 2008. The landowners then made their own representations to the Department of Planning in Grafton which provided them with further encouragement. A meeting was held with the landowners on 3 November 2008 when they advised that the DoP indicated that they needed to address the flooding, and seek the support of Council for the proposed 2 lots. A letter from the owners has been received and is attached for Councillors information. The normal process for SEPP No 1 applications with Nambucca Shire Council is that where a SEPP 1 application is received it is referred to the Department of Planning seeking their concurrence or refusal before the application is processed. If concurrence is received the application is assessed accordingly. Where concurrence is not received Council is unable to process the application and the applicant is requested to withdraw the application. In this instance the normal process was followed and whilst the DoP has not concurred with the SEPP 1 application, they have indicated their support for a single lot only rather than the two lots proposed. Notwithstanding, the owners sought a meeting with the Regional Manager of the DoP to clarify why they do not support the two lots put forward. The owners subsequently met with Council staff and it was agreed that the process would be that they would gather the additional information and a report be presented to Council for consideration and if supported referred off to the DoP again with a new SEPP 1. · Each of the existing 31 lots have individual title that could be sold off. Although each lot does not have a dwelling entitlement, the mere fact that the lots can be legally sold off may lead to ongoing requests and pressure on Council to support individual SEPP 1 Applications for a dwelling entitlement on each lot. · The status of the unformed roads (nth end of Jellicoe Street, Short Street an French Street) are in dispute and may very well be under the ownership of the original settler/landowner. This consolidation would finally clarify this matter. · The two proposed dwelling sites would be situated on the highest part of the flood affected area of Kings Point and treated as infill development thereby complying with Council’s Floodplain Risk Management Strategy. The original SEPP No 1 application was forwarded to the DoP who did not support the application. Adjoining neighbour notification has been completed with no submissions being received. The owners have discussed the proposal with both Council staff and the DoP. iii be subjected to physical limitations such as erosion hazard, bushfire risk, flooding and the like. Clause 49. 1, 3, 3a-3g, 4, 5, 6, 7, 7a & 7b of the NLEP 1995 applies – What Restrictions Apply to Development of Flood Prone Land? The proposal is for the consolidation of lots and the creation of two lots, both with Dwelling entitlements. As such, Council must take into consideration its Floodplain Risk Management Plan adopted on 17 February 2005. Under the Nambucca Floodplain Risk Management Plan, the subject land is identified as High Hazard Floodway with a 1:100 flood level of approximately 3.65m AHD. A determination as to whether this proposal is In-Fill Development or New Residential development is required to be made due to its location and the current and former zoning of the land. After applying the definitions (below) within the Plan it has been determined that the “best fit” is that of “In-Fill Development”. Infill development - refers to the development of vacant blocks of land that is generally surrounded by developed properties and development is permissible under the current zoning of the land. Conditions such as minimum floor levels may be imposed on infill development. New development - refers to development of a different nature to that associated with the former land use or at another location that is not on the same footprint or immediately adjacent. Examples of new development include the urban subdivision of any area previously used for rural purposes, the conversion of a dwelling to a Bed and Breakfast establishment or rebuilding at a different location. Redevelopment - refers to rebuilding on the same footprint as previously or immediately adjacent to the previous development site. For example, as urban areas age it may become necessary to demolish and reconstruct buildings on a relatively large scale. Redevelopment generally does not require either rezoning or major extensions to urban services. It refers to the replacement of a structure with something similar without a change of usage. All habitable floor levels to be equal to or greater than the 1% AEP flood plus 0.5m (freeboard). Floor levels equal to or greater than 1% AEP (if practical). Alternatively storage areas to be provided at the 1% AEP level. Engineer’s Report to provide any structure subject to a flood up to & incl the 1% AEP flood level can withstand the force of floodwater, debris & buoyancy. Engineer’s Report required to prove that the development will not increase flood affectation elsewhere. Consideration required regarding an appropriate flood evacuation strategy and pedestrian / vehicular access route for both before and during a flood. S149 (2) Certificates to notify affectation by the 1% AEP flood. S149 (2) Certificates to notify affectation by the extreme flood. Flood plan required where flood floor levels are below the design flood level. Applicant to demonstrate that there is an area where goods may be stored above the 1% AEP flood level plus 0.5m (freeboard) during floods. No external storage of materials below the 1% AEP flood level plus 0.5m (freeboard) which may be potentially hazardous during floods. There are no relevant provisions of the Regional Environmental Plan that specifically apply to the proposed development. However, the North Coast REP outlines the process and requirements for Council’s when preparing new LEP’s over flood liable land. In this instance the adjoining land is appropriately zoned pursuant to NLEP 1995 and in accordance with the NCREP as Zone 2(c) Residential (Flood Liable) which permits In-Fill Development subject to compliance with the Nambucca Floodplain Risk Management Plan. DCP 4 – Subdivision (2006) applies to the land. The SEPP 1 application seeks a variation from the minimum 40ha lot size for a dwelling entitlement identified in the DCP. DCP 11 – Building Line setbacks for residential buildings applies to this development. The proposal is for a dwelling entitlement at this stage with the setbacks to be considered at DA stage for a dwelling should the SEPP 1 be approved. The main concern with the proposal is the risk of flooding and the classification applied to the land as being High Hazard Floodway. Not withstanding, the Nambucca Floodplain Risk Management Plan provides opportunity for In-Fill Development subject to flood proofing measures as outlined in the Plan. The applicant has provided site survey details which suggests that the land at the locations of where the dwellings would be sited are at or about 3.0m – 3.2m AHD. The Nambucca Floodplain Risk Management Plan identifies that the 1:100 year flood level at this location is at or about 3.5m AHD. It being noted that whilst the NSW State Government have determined that the 1:100 year level provides for a 0.5m freeboard, Council’s Floodplain Risk Management Plan requires the floors of all infill residential development requires a further 0.5m freeboard. If approval if gained for the SEPP 1 the finished floor level for the proposed dwellings would be 4.0m AHD or approximately 1m above the existing ground level on the site. The Nambucca Flood Proofing Code does not permit clay fill/pads under a slab on ground. Therefore, it would be expected that the building would need to be elevated via, solid brickwork subfloor or placed on reinforced concrete piers or braced steel poles all to Engineers design. The site can be serviced by Water, Sewer, Telecommunications and Power to meet the demands by the two proposed dwellings. Some road upgrade works would be required to ensure that Jellico Street, kerb and gutter and site access meet Council’s requirements for urban development. The application has been notified to adjoining landowners (22 properties) for a period of 14 days. One submission was received supporting the proposal. Rail Infrastructure and Unkya Local Aboriginal Lands Council were also notified of the proposal with no comment received. Council has the responsibility of ensuring that it manages the risk to the public relating to development in areas that are subject to flooding. The High Hazard Floodway classification must be carefully considered in this instance. The subject land contains some of the higher elevated land in this area. The proposed development will have limited impacts on the natural environment. The effects of the natural environment and matters such as Climate Change and Sea Level Rise needs to be considered and it would be recommended that the applicant if successful with their SEPP 1 be encouraged to build an elevated house with garaging underneath and all habitable areas at least 2- 2.5m above the existing ground level. No adverse impacts anticipated from this application. However, Council needs to consider the possible social impact of buildings in flood prone areas. There are no economic implications arising from the proposed development. However, there may be costs associated for the occupants of the dwelling if approved in a Floodway during a flood event. The Floodplain Risk Management Plan adopted by Council in February 2005 outlines the steps that need to be considered and applied for this proposal. Council needs to ensure that it can demonstrate that it has acted in accordance with the Plan. There are no financial implications to Council arising from the determination of the development application. A development application and an objection under SEPP 1 has been received by Council on 14 July 2008. The application was incomplete as it did not include the concurrence fee of $250, required in accordance with the provisions of Clause 252A of the EP&A Regulations. Council seeks your Department’s concurrence, pursuant to Section 79B of the Environmental Planning and Assessment Act, 1979. ¨ The proposed lots comprising areas of 1.33 ha and 0.82 ha do not comply with the minimum area of 40ha for the erection of a dwelling-house on land zoned 1(a2) Rural (Prime/Flooding) in accordance with Clause 14 of the Nambucca Local Environmental Plan 1995. The application will be notified for a period of 21 days from Monday 4 August 2008 until Monday 25 August 2008. Copies of any submissions received within this period will be referred to you at the end of the exhibition period. Also enclosed for your information is a copy of Council’s letter dated 30 April 2008, and undated letter from the applicants regarding the unmade roads within the boundaries of the subject property. Should you require further information concerning the above, please contact Mr Ben Oliver, Senior Town Planner of Council’s Environment and Planning Department on 6568 0225. Council considered this report at its General Purpose Committee Meeting of 17 December 2008 when it was resolved to defer the matter to the January 2009 General Purpose Committee Meeting to enable Councillors the opportunity to make written submissions to staff in regard to the Draft Local Approvals Policy - Keeping of Animals. Two submissions were received and are outlined in the Discussion section of the report and included as considered appropriate. The Draft Local Approvals Policy - Keeping of Animals (previously referred top as Draft Animal Management Plan) is resubmitted for Council’s endorsement for exhibition. A considerable amount of time and effort on the part of Council officers is expended through dealing with nuisance complaints involving the keeping of certain types of animals in specific zones, particularly Urban and rural-residential areas. A Draft Local Approvals Policy has been prepared to assist Council staff when dealing with such matters. This document also proposes to assist Shire residents in making informed choices as to the appropriateness of certain types of animals in urban and rural-residential areas. 1 That the Draft Nambucca Shire Council Local Approvals Policy – Keeping of Animals be advertised for community consultation from 29 January 2009 to 27 February 2009. 2 That following the exhibition period, a further report be presented to Council for consideration and adoption of the Local Approvals Policy – Keeping of Animals. Council staff often become involved in neighbourhood disputes relating to animal nuisances. Staff are then required to take a regulatory and reactive approach to try and resolve the conflict, often resulting in continuous and ongoing issues. The relevant legislation does not specify the number of animals that may be kept on a property as this provision was removed with the new Local Government Act, Companion Animals Act and changes to the Local Government Regulations. Council may however, prepare a Local Approvals Policy to guide the community on acceptable numbers and their location of animals that may be kept in and upon urban/residential and rural-residential properties. This Draft Policy has been prepared using actual cases of conflict as the guide for the establishment of numbers and setbacks. The intent of now placing the Draft Policy on public exhibition will give the community the opportunity to support, oppose or offer suggestions towards the identified controls. Once adopted it is envisaged that the Policy will give Council staff the ability to deal with animal-associated complaints more rapidly and consistently, thus saving valuable time. Submission not included in amended Draft Policy. The Companion Animals Act 1998 requires all pups and kittens to be microchipped by 6 months of age. Nambucca Shire Council’s Policy should aim for consistency with this legislation. As registration of juvenile animals is required under this Act, current records held by Council should indicate the number of animals already at a particular residence, allowing for easier policing of the Policy. Submission included in amended Draft Policy. Reworded from “(and checks to 6 months of age)” to “(and chicks until fully fledged)”. Submission included in amended Draft Policy. Perceived conflict with greyhound owners and trainers with this exclusion however. · Horses and cattle in rural-residential areas – what is meant by 1m from any property boundary? Removal of the words “and 1m from property boundary” to reduce confusion. NB: A second internal fence may be required to achieve setback. Perceived improvement in environmental health through better control of animals kept in unsanitary conditions or in inappropriate numbers. Social benefits for those living in target land-use areas through a more efficient and consistent approvals. Reduced amount of time for Council staff to address and resolve animal-based disputes will result in more efficient use of Council resources. Direct impact will be small if at all measurable, and would not result in a budgetary impact. The Nambucca Shire Council encourages the responsible keeping of animals, including, but not limited to, companion animals, therapeutic animals, pets, hobby farm animals, sustenance and food production animals. Most people who keep animals, as pets, or for the companionship they offer, will attest to the many benefits arising from such interactions. However, there are also negative situations that can occur when animals are kept in unhealthy or inappropriate conditions, or are kept in locations or circumstances which cause a nuisance to others. This Policy serves to inform members of the communities within the Nambucca Shire as to their rights and responsibilities when keeping animals. This Policy outlines the legal requirements and responsibilities of animal owners, and also offers advice and guidance to ensure that the keeping of animals is conducted in the most healthy and harmonious manner possible. c Educate the owners and carers of animals as to their responsibilities, and to encourage them to act in the community interest. The purpose of this Policy is to supplement provisions of the Local Government Act 1993 and Regulations by specifying matters that Council must take into account when determining whether or not to issue an Order under Section 124 of that Act. This Policy will allow Council Regulatory Officers and members of the public to ensure that the objectives of Schedule 2 Part 5 of the Local Government (General) Regulation 2005 – Standards for Keeping Birds or Animals, are observed when taking these matters into consideration. This Schedule is attached to the end of this Plan as Appendix 1. This Policy applies to the keeping of animals for domestic purposes as companion pets or for hobby interests. However, the principles contained in the prescriptive requirements also apply to the keeping of animals for commercial purposes including breeding, boarding, grooming, caring, treatment, racing, exhibiting, trading or selling. Where it is intended to keep animals for commercial purposes, advice should be sought from Council’s Planning Department as to whether a Development Application is required by Council in order to obtain planning consent. Consent to the operation of animal establishments may not be granted where Council considers that the proposal would be detrimental to the amenity of the locality. This Policy addresses statutory and community-based obligations for animal management practices in different land use areas. The land-use areas referred to in this Policy are described in the Nambucca Shire Council’s Local Environment Plan (LEP) and shall include Urban or Residential/Village zones and Rural-Residential zones/areas as well as Rural land abutting any of these previously mentioned zones/areas. Guidelines or obligations for the keeping of animals in rural zones are not prescribed or controlled by this Local Approvals Policy. Unless specified otherwise, the Act referred to in this Policy is the Local Government Act 1993. A dictionary defining the most important terms used in this Policy is taken from the dictionary for that Act, listed as Appendix 3 of this document. The number of animals that may be kept at a premises is not to exceed the number shown as listed in the Table of Requirements included with this Policy. In circumstances where an approval may be required, Council may not grant approval for increased animal numbers or changes to the identified minimum set back distance, however, Council may consider application for increased animal numbers or changes to the minimum setback distance where it can be demonstrated that such variation will have no potential or actual disturbances to health, environment, or neighbourhood amenity. The type of animal that is suitable to be kept at any premises will be determined having regard to the size of the available yard area, the distance to the nearest dwelling or other prescribed building, and any animal management plan for collection and storage of waste, control of noise, pests and vermin. Certain statutory requirements apply as noted in the table. It should not be assumed that animals of all types may be kept on premises which are part of a multiple dwelling allotment. Where a dwelling is owned within a Strata Plan or Community Title, it will be necessary for the rules of the Body Corporate to be examined for requirements relevant to the keeping of animals. In many cases private covenants may apply to land, whilst in some cases, restrictions may have been placed on the title of properties through development consent conditions restricting the type of animals which may be kept. A check of the land title will indicate the existence of such covenants. Suitable shelter should be provided for all animals. Certain types of animals are required to be kept in cages to prevent their escape or attack by predators. Generally, other animals are to be securely enclosed with adequate fencing to prevent escape. Animal shelters should not be erected or located at premises without first determining whether the prior approval of Council is required. To determine whether a proposed animal shelter complies with Council’s requirements, or requires approval, please refer to Development Control Plan Number 10 – Exempt and Complying Development, located on Council’s website at http://www.nambucca.nsw.gov.au. Generally, Council’s powers to control and regulate the keeping of animals are provided under Section 124 of the Local Government Act 1993 and the Local Government (General) Regulation 2005, Schedule 2 Part 5. Firstly, it must be established that the keeping of a particular animal within the zone or area is permitted under Nambucca Shire Council’s Local Environmental Plan. Secondly, where a problem is identified with keeping of animals and it can not be resolved through consultation and mediation, the Council may proceed to issue notice of its intention to serve an Order. Normally a person will be given opportunity to make representation to Council prior to a formal Order being issued. In situations which Council believes constitute a serious risk to health or safety, an emergency Order to address or remove the risk may be issued without prior notice. The keeping of ferrets is not recommended in urban areas. However, where proper care (including appropriately designed, secure cages) is available, the keeping of ferrets is permitted providing no nuisance is created. The keeping of horses and cattle on properties of less than 5,000m2 in a residential, urban or village area, is not considered appropriate. Free lofting* is prohibited in residential, urban or village areas. Exercise periods to be restricted to the 2 hours immediately preceding sunset and following sunrise. Training of young birds to be conducted in a manner to avoid nuisance. Keeping of poultry must not create a nuisance or be dangerous or injurious to health. Poultry yard must at all times be kept clean and free from offensive odours. Council may insist on the keeping of domestic poultry or guinea fowl at a distance greater than 4.5m in a particular case. Poultry yards must be enclosed to prevent escape of poultry. The floors of poultry houses beneath roosts or perches must be constructed of impervious material (eg concrete or mineral asphalt) if constructed within 3m of a property boundary. This does not apply to poultry houses that are located at a distance greater than 15.2m from a dwelling, public hall or school. Where impervious material is not required the floor of the poultry house is to be covered with clean sand or other suitable material. Must be domestic breed and kept in a cage. Cages may be portable to allow access to fresh feed, but must securely contain animal(s). Do not release into environment. The rabbit is a declared noxious animal under the Rural Lands Protection Act, 1989. However, two domestic breed same gender pet rabbits, securely housed, are permitted per residential allotment. Restriction on numbers is imposed by the NSW Dept of Agriculture under the Rural Lands Protection Act, 1989. For more than one rabbit a permit must be obtained from the Rural Lands Protection Board. Appropriate distance to avoid nuisance and/or health hazard. All species must be adequately housed to prevent escape. Billy goats or rams should not be kept on a residential property in a residential, urban or village area. Where proper care (including appropriately designed, secure cages) is available, the keeping of ferrets is permitted providing no nuisance is created. Free lofting* is prohibited in rural-residential areas. The rabbit is a declared noxious animal under the Rural Lands Protection Act, 1989. However, two domestic breed same gender pet rabbits, securely housed, are permitted per rural-residential allotment. Restriction on numbers is imposed by the NSW Dept. of Agriculture under the Rural Lands Protection Act, 1989. For more than one rabbit a permit must be obtained from the Rural Lands Protection Board. 2 Swine’s dung must not be deposited in such a place or manner as to pollute any water referred to in subclause (1). 1 Without limiting clause 1, swine must not be kept (and swine’s dung must not be deposited) within 60m (or such greater distance as the council may determine in a particular case) of a dwelling, shop, office, factory, church or other place of public worship, workshop, school or public place in a city, town, village or other urban part of an area. 2 A greater distance determined under this clause applies to a person only if the council has served an order under section 124 of the Act to that effect on the person. 1 Poultry must not be kept under such conditions as to create a nuisance or to be dangerous or injurious to health. 2 Poultry yards must at all times be kept clean and free from offensive odours. 1 Fowls (that is, birds of the species Gallus gallus) or guinea fowls must not be kept within 4.5m (or such greater distance as the council may determine in a particular case) of a dwelling, public hall, school or premises used for the manufacture, preparation, sale or storage of food. 2 Poultry (other than fowls referred to in subclause (1)) must not be kept within 30m of any building referred to in subclause (1). b that are situated on clean sand. 4 Poultry yards must be so enclosed as to prevent the escape of poultry. 5 The standards in this clause apply to a person only if the council has served an order under section 124 of the Act to that effect on the person. 1 Horses and cattle must not be kept within 9m (or such greater distance as the council may determine in a particular case) of a dwelling, school shop, office, factory, workshop, church or other place of public worship, public hall or premises used for the manufacture, preparation or storage of food. 2 The floors of stables must be paved with concrete or mineral asphalt or other equally impervious material, and must be properly graded to drain. 3 Horse yards and cattle yards must be so enclosed as to prevent the escape of horses and cattle. 4 The standards in this clause apply to a person only if the council has served an order under section 124 of the Act to that effect on the person. This Code is designed for everyone involved in keeping, breeding, showing and trading birds (other than domestic poultry). By adhering to the code, people involved in this industry demonstrate to the general community their concern for birds in their care. The code is neither a complete manual of aviculture husbandry nor a static document. It may be revised to take account of advances in the understanding of bird physiology and behaviour, technological changes, changing industry standards, and the community’s attitudes and expectations about the welfare of birds. Compliance with the code does not remove the need to abide by the requirements of any other laws and regulations, such as local government or National Parks and Wildlife Service legislation. The code has been prepared by the Associated Birdkeepers of Australia (ABA), representing a large proportion of those in aviculture. It is not intended to apply to those premises licensed or approved under the Exhibited Animals Protection Act or by the Zoological Parks Board. a a primary concern for the welfare of birds. b a realisation of the need for conservation. c a concern for others in aviculture. d compliance with legislative requirement. 1.2 The importance of care and competence in the handing and keeping of birds cannot be over-emphasised. Appropriate expert advice and guidance should be sought whenever needed. 1.3 This code cannot replace the need for common sense and experience. a ready access to proper and sufficient food and water adequate to maintain health and vigour. b freedom of movement and ability to exercise or fly appropriate to the species. c accommodation which provides protection and which neither harms nor causes distress. d fresh air and exposure to suitable light. e protection from predators, toxic substances and diseases. f rapid identification and competent treatment of any injury, vice or disease. 3.1 Adequate food suitable for the needs of the particular species of birds should be readily available. Most species of birds should have access to food at all times. 3.2 Clean, cool water should be available at all times. It is totally unacceptable for birds to die from lack of food or water. a protection from extremes of climate. c ability to escape from, or to avoid distress caused by other birds animals, and humans. d protection of food and water containers from contamination or firm rain or direct sunlight. e sufficient space, perches, nesting areas and/or feed and water station to meet the needs of all the birds in the cage or aviary. f nesting sites and materials appropriate for the species for breeding purposes where intended. 5.1 Good animal husbandry, as for any animal species, is essential for the welfare of birds. 5.2 Newly acquired birds should be quarantined for a suitable time for treatment / observation before release into aviaries or cages. 5.3 Birds show ill health or stress in a great variety of ways, but careful observation may be needed as sick birds are able to suppress some signs when stimulated. 5.4 Sick or injured birds should be isolated to facilitate observation and treatment and to prevent further damage and / or to restrict the spread of infection. 5.5 Cages and aviaries should be cleaned regularly; the floor and food and water containers in holding cages should be kept clean. 5.6 Birds should be inspected regularly, preferably daily, to ensure that adequate feed and water is available, to check on their state of health, and to identify and promptly remedy any problem that may develop. New, sick or young birds should be inspected more frequently. 5.7 Where treatment to restore health or to repair injury is not possible or is not successful, euthanasia should be performed by a competent person and in an appropriate and humane manner. Veterinary advice should be sought. aviary birds usually causes them distress and some species are particularly susceptible. Birds should be caught by the least stressful method available and subjected to minimal handling. Special care and knowledge is necessary in holding or restraining birds, and the most appropriate method should be used for each species. Pinioning of wings is an unacceptable practice and is defined as an act of cruelty. The clipping of wing feathers of small birds or nervous species is also unacceptable. The application of rings for identification purposes requires careful selection of the appropriate ring and its application. Some species, especially adult birds, should not be ringed because of the risk of self-mutilation. Special care is needed should a ring require removal. for example, to attend to a leg injury. Overgrown beaks should be carefully trimmed. Unless due to curable disease or a nutritional problem, birds with overgrown beaks should not be used for breeding. Excessively long nails should be trimmed without drawing blood, but toes should not be cut with the intent of preventing nail growth. Overgrown nails may be indicative of inadequate conditions, particularly in small cages. 7.1 Worm control is necessary with most aviary birds. 7.2 Water or feed medication may be indicated in some circumstances, but is least efficient. 7.3 Individual dosing should be performed by competent operators. 7.4 Chemicals, eg insecticides, should be selected and used carefully and in accordance with pesticide laws. For example, pest strips are ineffective except in enclosed areas. Show and Exhibitions should be conducted over as short a period as possible and not more than 72 hours. Public access should be controlled. Birds exhibiting signs of distress, injury or disease must be removed from the display area for appropriate attention or treatment. Birds on display must be under competent supervision at all times. Food and water must be available and birds accommodated in accordance with this code. Cage sizes must be not less than the show standards for the particular species. These are stressful to birds and must be conducted over as short a period as possible and not more than 12 hours. Otherwise conditions as in 9.1 apply. adjoining, in relation to an area, means abutting or separated only by a public reserve, road, river, watercourse, or tidal or non-tidal water, or other like division. approval means an approval that is in force under this Act. area means an area as constituted under Division 1 of Part 1 of Chapter 9.
building includes part of a building and any structure or part of a structure, but does not include a moveable dwelling or associated structure or part of a moveable dwelling or associated structure. catchment district means a district proclaimed to be a catchment district under section 128.
b in Part 11 of Chapter 15, includes the Lord Howe Island Board constituted under the Lord Howe Island Act 1953.
dwelling in Division 1 of Part 8 of Chapter 15, means a building or part of a building used as a place of dwelling. local environmental plan has the same meaning as it has in the Environmental Planning and Assessment Act 1979.
notice includes notification, order, direction and demand. and, in the case of a vessel, means the master or other person in charge of the vessel. d in Part 2 of Chapter 7, in relation to a building, means the owner of the building or the owner of the land on which the building is erected. private land means land the fee-simple of which is not vested in the Crown, and land that the Crown has lawfully contracted to sell. public authority means a public authority constituted by or under an Act, a government department or a statutory body representing the Crown, and includes a person exercising any function on behalf of the authority, department or body and any person prescribed by the regulations to be a public authority. public officer of a council means the public officer appointed under Chapter 11 for that council. e land that is declared by the regulations to be a public place for the purposes of this definition. and includes a public reserve of which a council has the control under section 344 of the Local Government Act 1919 or section 48, but does not include a common. b an area which is wholly or mainly used for aquaculture within the meaning of the Fisheries Management Act 1994.
d does not have a significant and substantial commercial purpose or character. and includes any other substance defined as waste for the purposes of the Protection of the Environment Operations Act 1997, and a substance is not precluded from being waste merely because it is capable of being refined or recycled. That Council adopt the amended Policy for Waste Collection Services – Availability Conditions. The 2005 policy was put in place as part of change to the Regional Waste Service and to define the compulsory service areas. Since then it has been identified that an extra exemption clause (No 3.4) is necessary to allow a lower charge to be raised where a property is on the route but cannot be serviced because the collection area is too dangerous for traffic reasons. The clause is renumbered as 4.3.4 in the new policy. The current policy also requires the consent of Council to expand or add new collection routes. This is an operational decision based on economics and customer requests and should rest with the General Manager not Council. Three new locations have been added to the collection routes to bring it up to date before the adoption of the revised policy. The extension of the waste collection route ensures greater re-use of waste rather than on-farm disposal. The slight loss of income from properties with un-safe collection points is offset by customer satisfaction because of the lower charge. To define the compulsory waste collection area, the means of exemption, and modifications to the routes. 4.2.1 The Farmland is on the collection route and elects to receive a waste collection service. 4.2.2 The Farmland property is not on the route but is prepared to deliver the bins to a satisfactory collection point on the route. 4.2.3 Only the owner of the land can request Council to provide a waste collection services as the charge is included on the waste notice. 4.2.4 The minimum period of receiving an optional waste service is a pro rata date to 30 June of the year of the request, plus a full twelve (12) months. For example: A request in April requires minimum period of 2 months to June then the next 12 months to June. 4.3.1 Properties under Clause 1.2 above can seek exemption from the General Manager. The request will be assessed against a set of criteria. Properties less than 10 hectares and houses less than 200 metres from the road will not be considered. 4.3.2 A building that has been destroyed by an accidental fire can be recategorised as Vacant Land and the lower charge applies within a budget year provided the owner advises Council and returns the mobile bins (whole or damaged). 4.3.3 A building that has been demolished for redevelopment is not eligible for recategorisation during a budget year. A long term vacancy can be converted to the Vacant Land rate provided the owner provides details to Council. 4.3.4 Due to the location of some properties on blind corners, narrow widths and the traffic flow on the Pacific Highway, the collection contractor is unable to render the service in a safe manner due to the truck not being completely off the road therefore creating a potential dangerous situation for all road users. Since the service cannot be rendered it would be unfair to charge the property owners the full domestic waste charge or a vacant rate as the service is not available. The property will have the tip provision charge applied rather than the full rate. 4.5.1 Designated routes may be extended or new ones added by the General Manager. RECOMMENDATION: On the motion of Cr Flack seconded Cr Moran that Council make and levy full annual waste management charges for each parcel of rateable land categorised Residential—Rural; and Residential Village/Estate; where domestic waste collection service is available to each individual property; such availability to be subject to the General Manager's determination in terms of accessibility with reference to adjoining the collection route by direct access or by a right of carriageway. RECOMMENDATION: A On the motion of Cr Hoban seconded Cr Ainsworth that Council permit a full annual waste management charge for each parcel of rateable land categorised Farmland when that property participates voluntarily in the domestic waste collection service with a minimum time up to 30 June charged pro rata in the year of commencement plus the next 12 months of the following budget year ie twelve months notice will be required where it is desired to cease participation in the service. RECOMMENDATION: B On the motion of Cr Hoban seconded Cr Ainsworth that Council permit rateable land that is n to on the domestic collection route but in close proximity and is prepared to deliver bins to a satisfactory collection point on the route to receive a full waste service for minimum time up to 30 June charged pro rata in the year of commencement plus the next 121 months of the following budget year ie twelve months notice will be required where it is desire to cease participation in the service. RECOMMENDATION: A On the motion of Cr Hoban seconded Cr Nash that properties where the building has been destroyed by fire can be considered as vacant and the lower charge applied on a pro rata basis once the mobile garbage bins (MGB's) are returned to Council. RECOMMENDATION: B On the motion of Cr Hoban seconded Cr Nash that the properties where the building has been demolished for redevelopment will remain at the full waste management service for the remainder of the budget year; the vacant land rate can be applied in the new budget if the circumstances remain relevant. The inclusion of clause 3.4 and authorising the General Manager to extend the routes was added on the 5 February 2008. 4.5.1 Designated routes may be extended or new ones added by resolution of Council. The draft policy has been prepared reflecting the resolutions adopted by Council on the 17 July 2008. A copy of the old and new policies are attached. This policy was placed before Council on the 27 August 2008 and deferred until after the Local Government Elections. That Council adopt the revised Public Grates and Motor Bypass (Grids) Policy. 1 That Council not approve the installation of new cattle ramps on public roads. 2 That the current owners of all cattle grids be contacted and be given six months to upgrade the cattle grids to a safe standard – if not they will be instructed to remove them and fence their property. 3 That Council review the policy on Cattle Grids and fencing. It has been necessary to review the policy first to define what is meant by “a safe standard” so that this message is contained within the letter to land owners with ramps. The new policy refects the statement that no new public gates or grids will be permitted (4.2) and define the requirements for the gates and grids to remain in place after the six months notification. On the 27 August 2008 Council considered this report but due to the imminent Local Government elections resolved to defer it until after September 2008. Council on 17 July 2008. Delegation at that meeting by Mr John Moore. Council on 27 August 2008. The lack of roadside fencing associated with ramps allows cattle access to the road corridor as well as the private property with an impact on vegetation and ground damage. Neighbouring properties or regular road users must slow down for the cattle grids and the cattle. The use of the roadside is seen as a negative by some. The removal of the cattle grids will require landowners to pay for roadside fencing. In many cases grids were installed because they were the cheaper option. This may no longer be the case with the increasing cost of steel. There is a greater risk of a vehicle accident with cattle on the road. There is an increased risk of vehicle damage from the grid and from cattle manure. The landholder may not be in a financial position to have the fencing carried out. Council costs will be associated with the notification and the responses initially. If Council has to remove the ramps and seek reimbursement there will be costs. Funds may be required after 31 March 2009 to remove unsafe ramps. That applications to install a public gate and motor bypass are to be advertised for public comment prior to presenting a report to Council. Approved public gates and motor bypasses will be subject to common conditions of consent. 2 Submission of engineering plans and their acceptance. 3 Written undertaking by the applicant to be responsible for all future maintenance of the gate/bypass, immediate road and drainage. This responsibility passes onto the successor of the title. 5 Clear width of 3.61 metres. 6 Public liability insurance to be a level nominated by Council. 7 Applicant is responsible for damage to power lines, water mains, road surfaces, etc. As a result of a Council resolution to seek quotations from landscape designers to upgrade the riverbank there has been consultation with “Joan’s Army”. Their list of suggestions will be viewed onsite. e) Construction of the viewing wharf. Council resolved on the 7 August 2008 to seek quotations from landscape designers to prepare in consultation with Joan’s Army, a landscaping Masterplan for the riverfront area from Macksville Traffic Bridge to the public toilets on the corner of the Princess and River Streets. Before seeking quotations it has been necessary to obtain feedback from Joan’s Army on what improvements they saw as desirable. As a result they were requested to submit written ideas. The “Joan’s Army” volunteers have provided suggestion for the future upgrading of the riverbank area west of the Macksville Bridge. 1 Remove all the trees along River Street and replace. Current trees are messy and cause damage. The top area is dominated by tree roots making it impossible to construct a concrete path. The fig trees in “Big Jims” garden are damaging the retaining wall. You can see that the wall has moved because of the tree roots. 2 Concrete a path the full length on the top level from the bridge to the toilets. If the tree roots remain then the path will be quickly cracked. It is a dusty area because of these circumstances. The sections of concrete have table and seats on them which partially blocks pedestrian access. The whole arrangement will need changing to accommodate a path free of obstructions. 3 Construct a cycleway on the lower level that connects up to the ridge underpass and the new work. It would be necessary to re-rock the riverbank as this has slumped. The concrete cycleway could also help secure the riverbank. 4 A Children Playground on the lower level. Not recommended, high risk on the waters edge. 5 Three or Four shade trees on the bottom levels with tables and chairs. All have been provided in the past. Time to revisit and replant. 6 Add the other wharf. The original plan included a viewing wharf on the rivers edge. Not all the suggestions may be acceptable to Council so it is proposed to undertake an inspection of the area. It may also be the opportune time to look broader than the riverbank and consider how River Street and the footpath areas on both sides of the street are developed. The removal of some of the trees will reduce the vegetation community. Improvements are aimed at promoting greater use of the area for recreational use. Extra facilities are likely to generate greater visitor numbers and may increase tourist spending. There will be differences of opinion within the community on changes. The costs will be significant but will not be calculated until the components of the Masterplan have been agreed upon. The project if not funded from Revenue could potentially be part of the next Section 94 Contribution Plan for Recreation and Community Facilities. NSW Water Solutions are preparing in consultation with Council the Integrated Water Cycle Management (IWCM) Plan. It has been some time since the last meeting plus there are new Councillors to brief so a presentation has been arranged to provide an update. This will be undertaken by Roshan Iyadurai of NSW Water Solutions. That the information provided at the presentation on the Integrated Water Cycle Management (IWCM) Plan be noted. IWCM has the aim of minimising new water use and maximising re-use. Potential to reduce the Off Stream Storage size or extend the life of the storage. Program links to the provision of the Off Stream Water Storage.